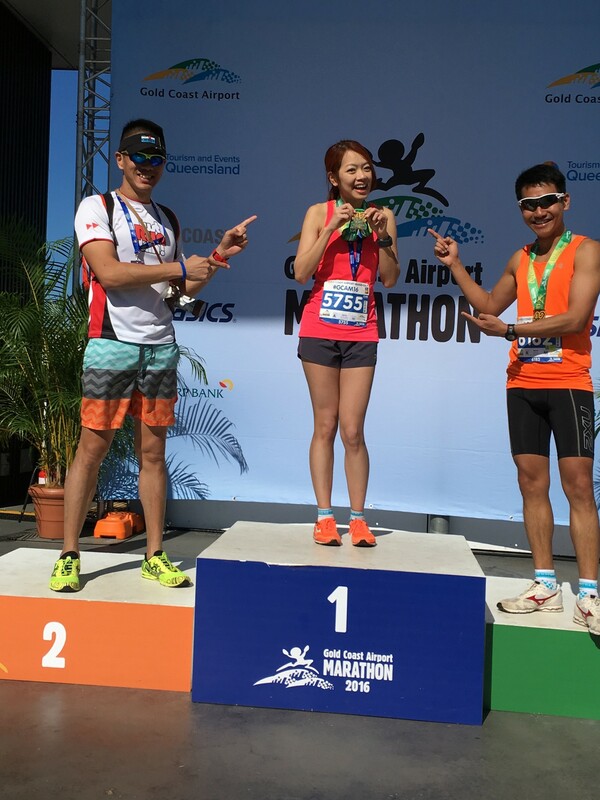 Race Review: Gold Coast Airport Marathon 2016 [FM] (by Yvonne Siew) | JustRunLah! 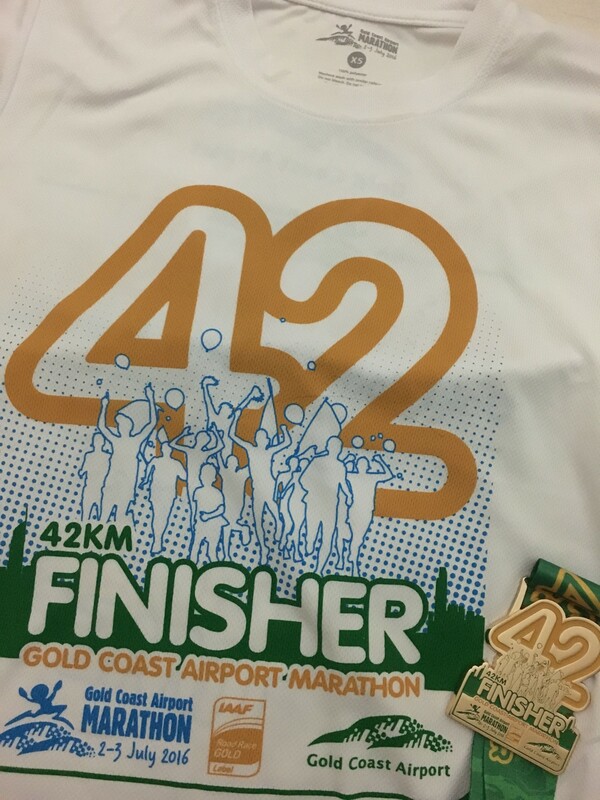 I travelled to Gold Coast, Queensland for the Gold Coast Airport Marathon (GCAM) that held on 3 July 2016. 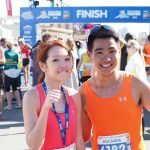 I signed up the Full Marathon category only 1 month prior to the race and i made this late decision for some reasons. 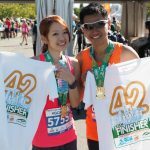 First, I was eager to get my Boston Qualification (BQ) for Boston Marathon 2017 before the registration close in September. In order to achieve BQ I need to keep up the pace with no more than 5:00 throughout the 42.195 km so I can finish the race in 3 hours 32 minutes. And that seems unlikely, looking at my last PB 3 hours 44 minutes in Sundown Marathon. I was hoping that the well-recognised flat course and good weather in GCAM can make this miracle happened. 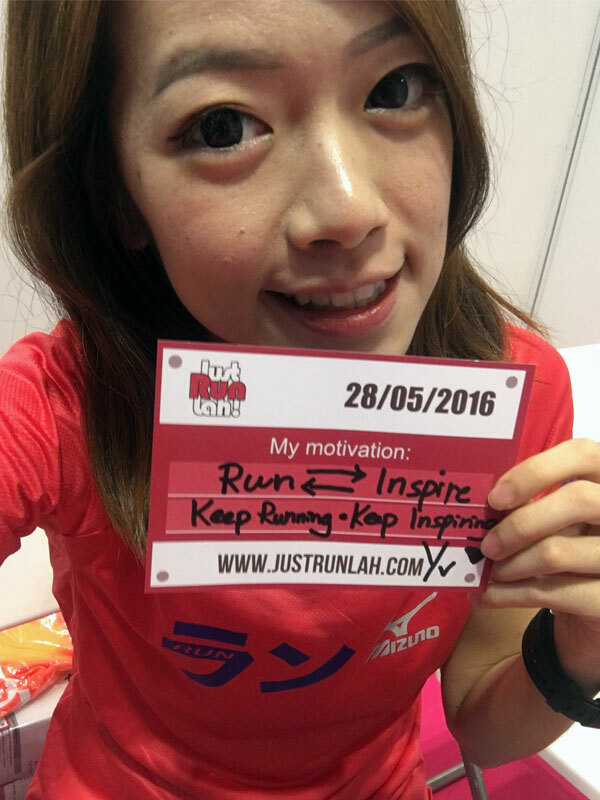 Second, I got to know the news that my running idol, Yuki Kawauchi will participate in GCAM 2016 and I feel very much motivated to be able to run in the same race with my idol! 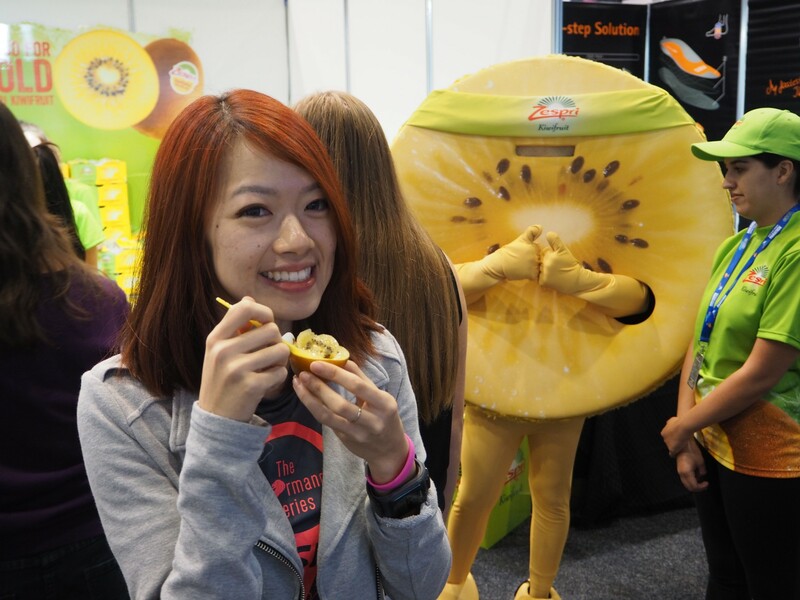 Only In Queensland: sweet golden kiwi fruits were offered at their Expo. 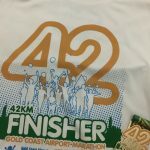 I arrived Gold Coast on 1 July, two days before the race day and collected my race pack at Gold Coast Convention and Exhibition Centre. 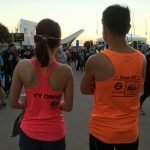 The volunteers are very friendly and helpful, and they even have different language translators to help overseas runners. I spent some time at their Expo and spotted interesting stuff! 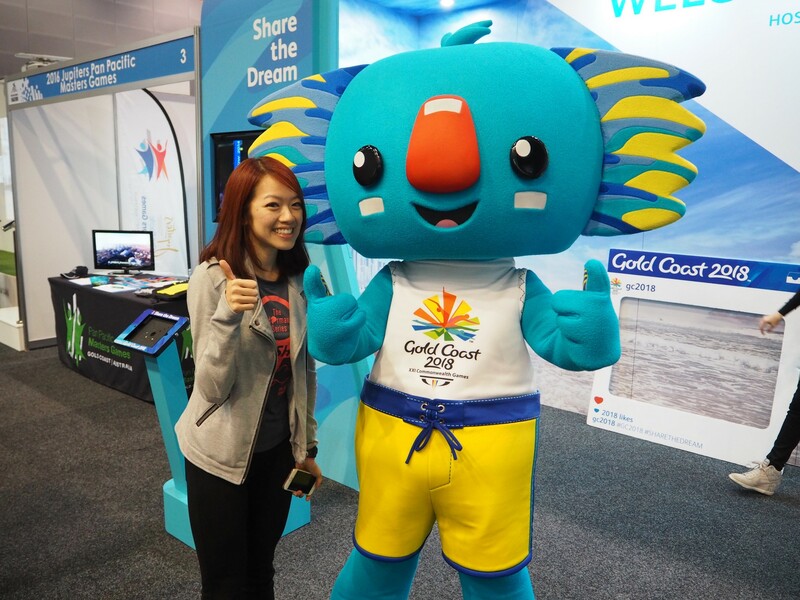 Photo-taking session with blue koala Borobi, the mascot of 2018 Gold Coast Commonwealth Games. Full Marathon flags off at 7.20am and at that time the temperature was around 13°C. 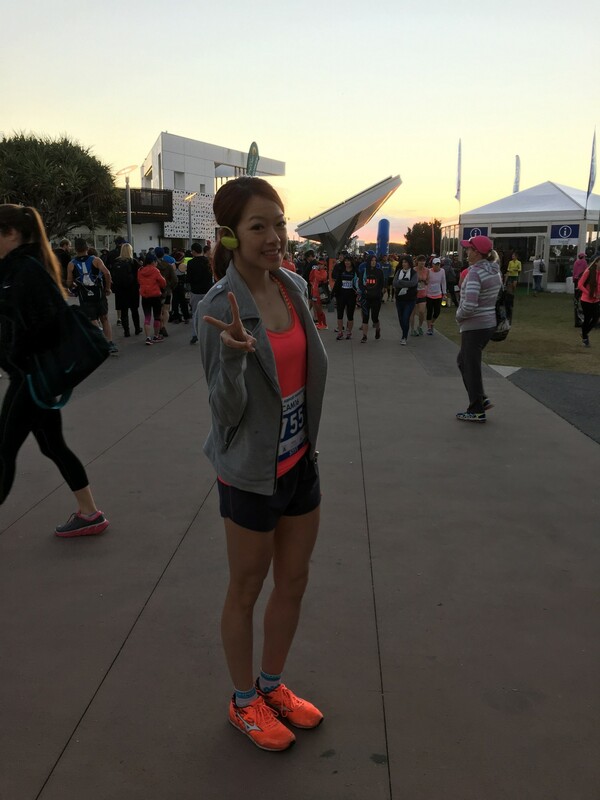 I was in a running singlet, a short and a jacket which was taken out after I entered into the starting pen. I followed the 3:10 pacer group and we passed through the Main Beach at the 5 km bench mark. The sight of sea view and sea breeze just blown away my tenseness and freshened up my mind. I feel warmer. 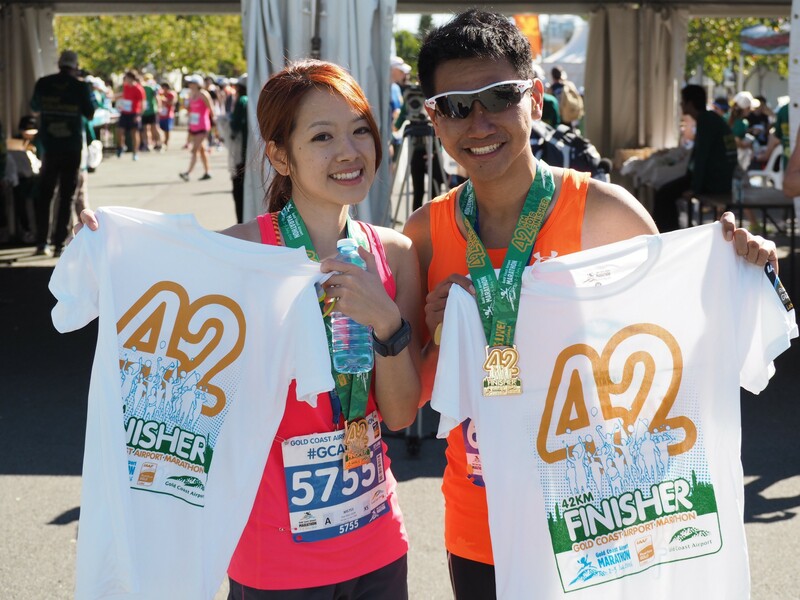 I was able to maintain a 4.25 pace with them, which is way beyond my usual marathon pace. 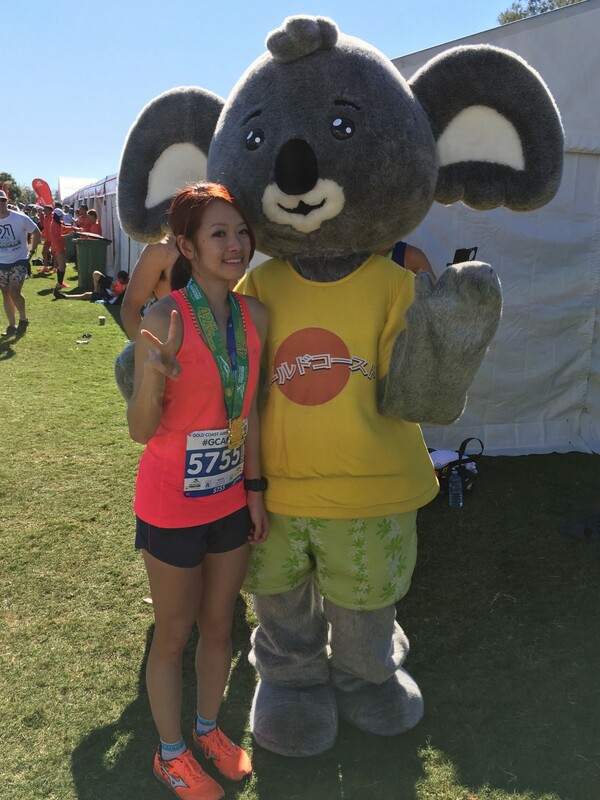 Then we dashed through Surfer Paradise where I can see all the tall buildings such as Q1 and Soul, as well as the crowds smiling and cheering for runners at both sides. I remembered there was a Caucasian boy held a board saying “Run like you stole something” That put on a smile on me, and in return, I gave him a thumb up. Every 2 km there’s a hydration point with water (in cup/bottle) and at some stations, the local isotonic drink – Endura were provided. 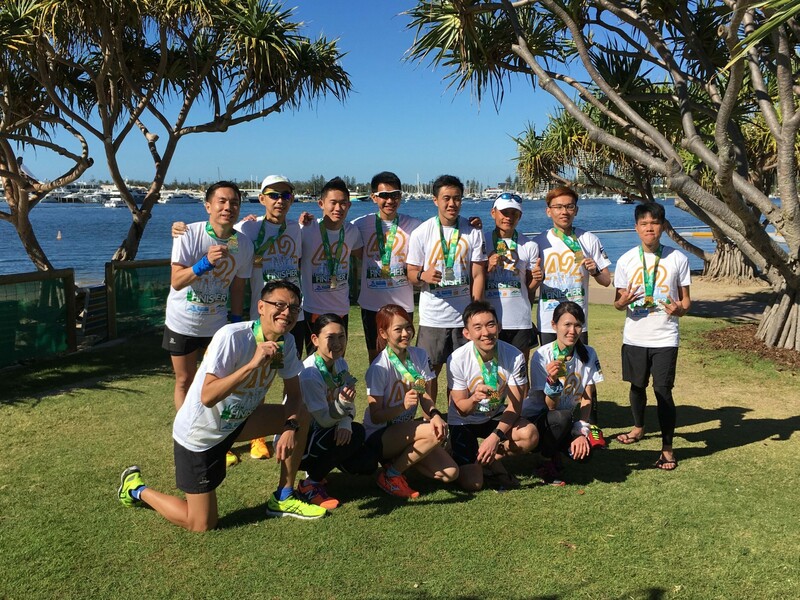 We passed through Broad Beach, Mermaid Beach, Miami and finally hit Burleigh Heads at the 15 km benchmark which is also a U-turn point. I lose tailing 3:10 pacer group, and I was trying my best to follow 3:20 pacer group. At the halfway point, I got a cramp on my right calf. I could feel my feet became heavier, my pace dropped beyond 5:00 and I even failed to follow 3:20 pacer group. Being defeated. 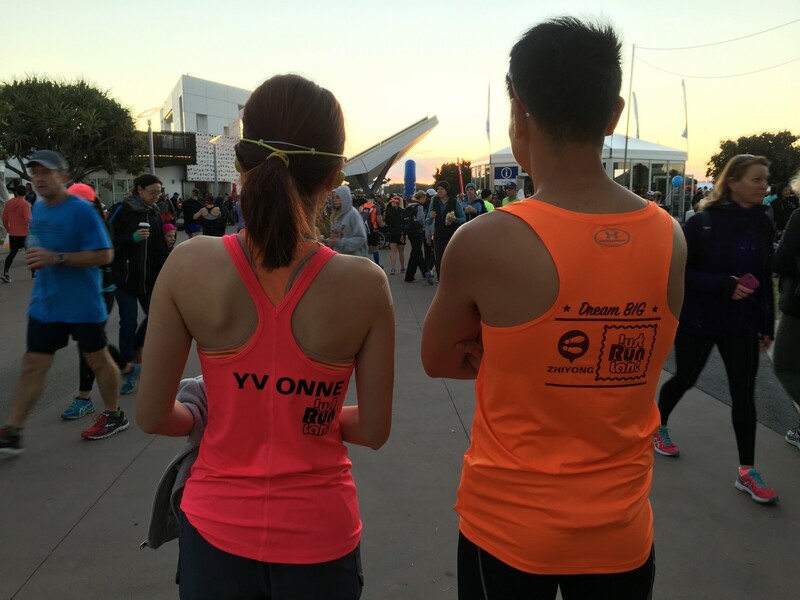 That time I passed through the residential area, and the local residents gave us “high-5” and some of them called out my names, “Yvonne, go!” as they saw it printed at the back of my singlet. I received the warmth and encouragement from them. I decided I should not give up, at least not until the 3:30 pacer group caught me. There’s still hope! 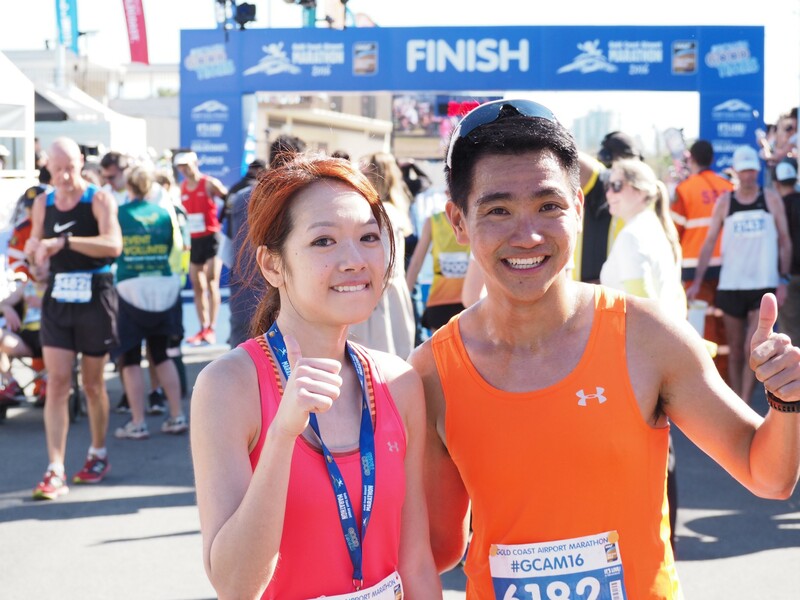 Throughout the race, all the runners beside me so focused on achieving their PB. Under this atmosphere, I gave my best at the last stretch of 10 km. I was glad that I came and tried hard, because when I was at the other side of the finishing line, the miracle happened. My finishing net time: 3 hours 26 minutes. 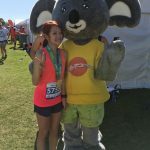 I CAN GO MY DREAM RACE! 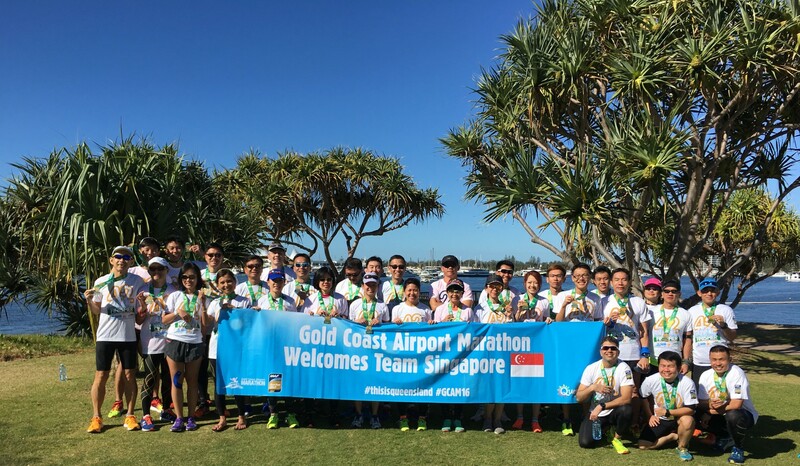 Most of my running buddies also achieved their PBs in GCAM 2016, so here goes a BIG CONGRATULATIONS! 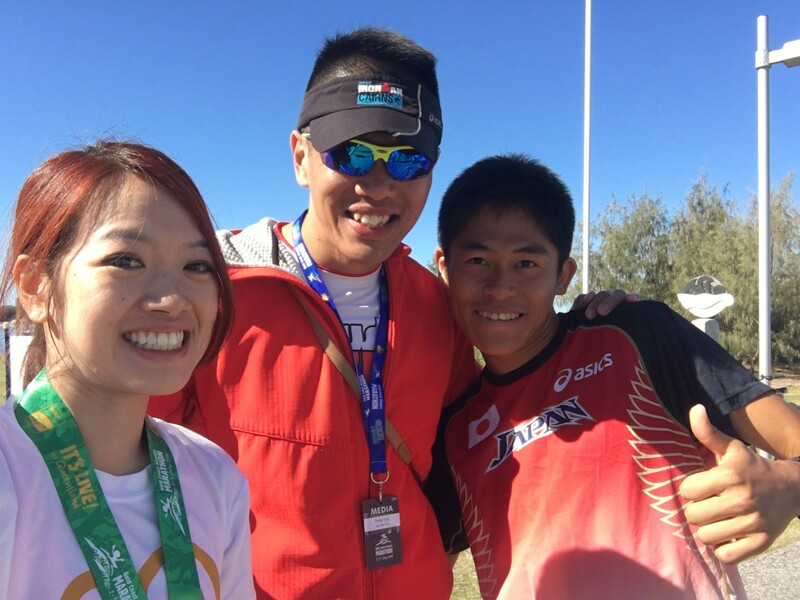 Another “dream comes true” is, I met Yuki Kawauchi at the race site and I got the chance to tell him that he inspired me to race! And for me, I pampered myself the whole day. For lunch after the race, we had dim sum dishes (and also a finisher local beer!) 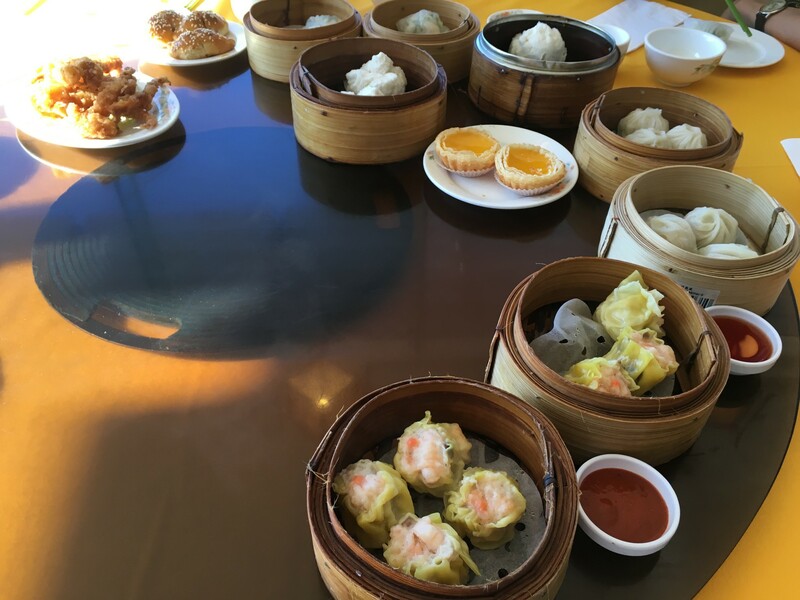 at Top One Chinese Seafood Restaurant, a Cantonese restaurant in Australia Fair Shopping Centre, which is just located at the opposite of race site. 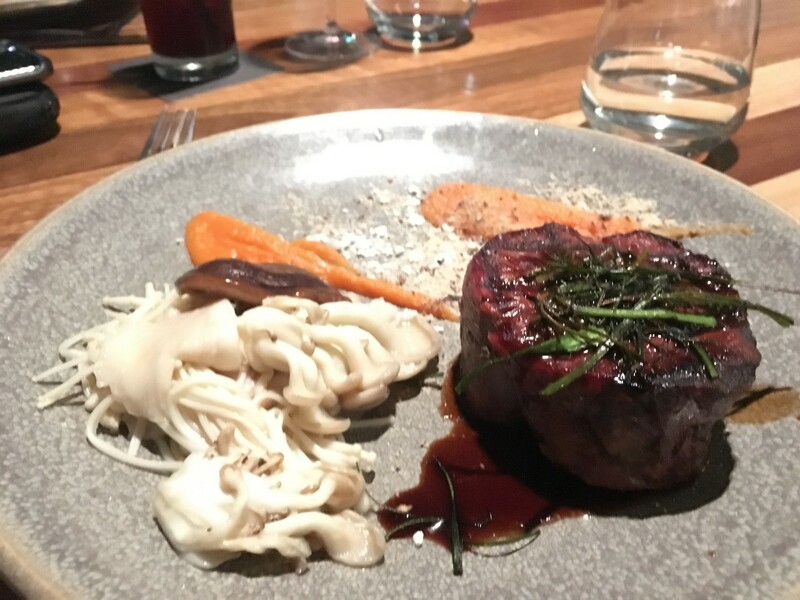 At evening, we had our celebration dinner at Seascape Restaurant & Bar. I really love this seaside dining! 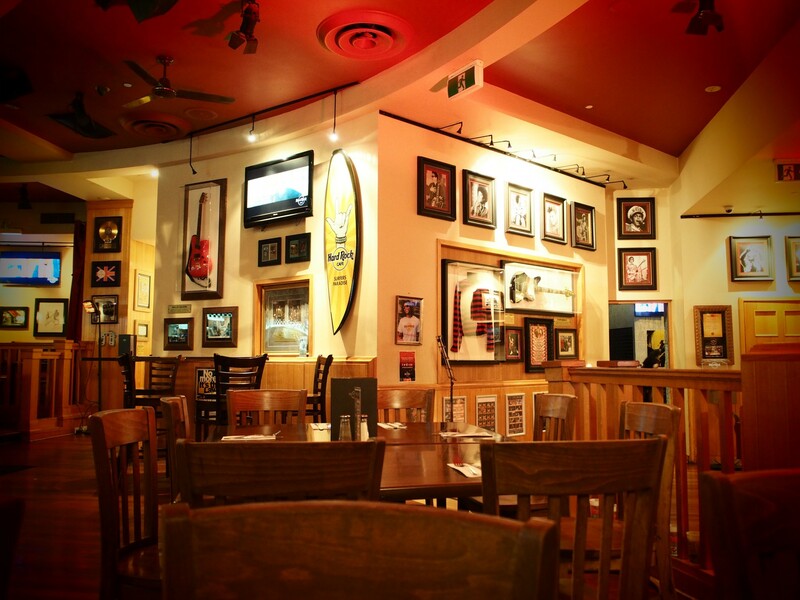 Seascape offers a multi-level venue with breathtaking ocean views and contemporary seafood menus. 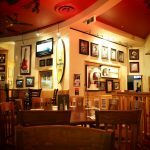 It’s indeed a popular post-race dining place because you know who did I see there? 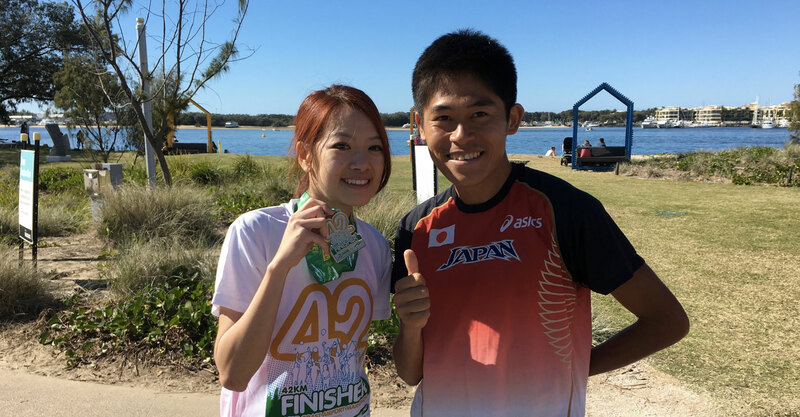 It’s Yuki Kawauchi again! 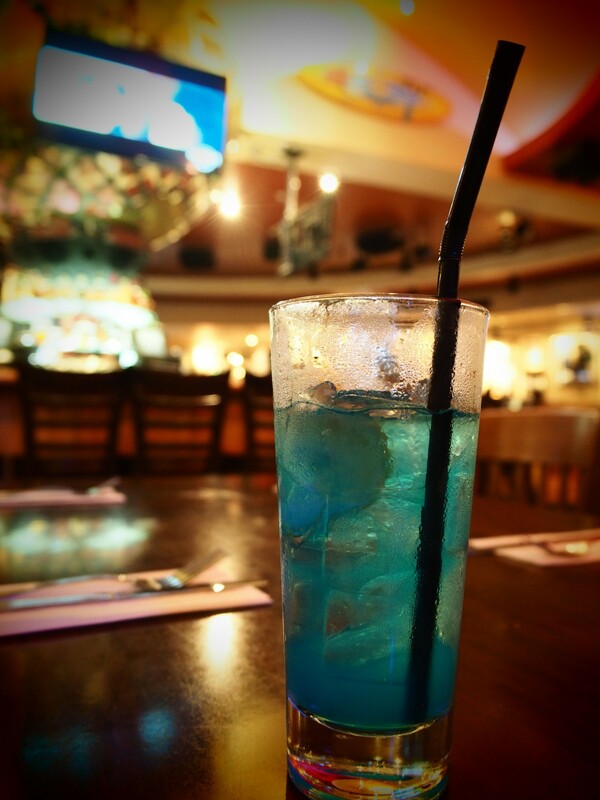 After the dinner, we continued our celebration at Hard Rock Surfer Paradise. A great place to chill with music and my favourite cocktail. 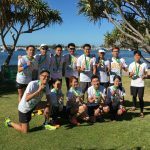 Nice blog, thanks and huge congrats! Great timing and best of luck in Boston! I believe the electrolyte drink is called Endura, not Endurance.